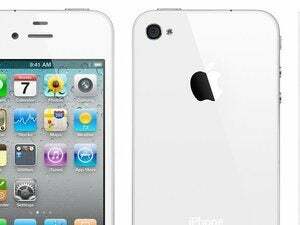 iPhone 4S users consume twice as much data as iPhone 4 users, signaling that operators will have to continue to battle with growing data volumes, according to a report published by network management software vendor Arieso. Apple’s iPhone has put some operator networks under immense pressure since the first version arrived, as users download more data than their networks can handle. 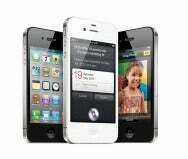 The iPhone 4S takes data consumption to new levels, according to Arieso’s report, which looks at usage patterns of at least 1,000 phones of each model, the company’s CTO Michael Flanagan said. The latest addition to the iPhone family is the champion among smartphones when it comes to data usage. Owners of the iPhone 4S download almost three times as much data as users of the iPhone 3G, which Arieso uses as the benchmark, and twice as much as the iPhone 4, whose users were the most demanding in last year’s survey. Reasons for the growing data volume include the addition of Siri and iCloud, according to Flanagan. The vendors are constantly looking for ways to differentiate their products from the competition, and cloud storage has become one of the hottest smartphone application sectors. For example, Sony Ericsson recently struck a deal with Box.net to provide owners of its Android-based Xperia line with 50GB of free storage. As more vendors bundle or integrate cloud storage with their products, more smartphones will get similar usage patterns to the iPhone 4S, Flanagan said. Owners of the iPhone 4S aren’t the only users who download a lot of data. Other heavy data users include owners of Samsung’s Galaxy S and S II, as well as the Nexus One and HTC Desire S.
Upload traffic is growing, and putting more strain on networks, as well. Here the iPhone 4S shares the top spot among smartphones with HTC’s Desire S. Owners of those two phones upload more that three times as much data as iPhone 3G users, according to Arieso. Arieso’s report also reveals that what it dubs ‘extreme’ dominate data usage. Today, just 1 percent of subscribers consume half of all downloaded data, and 3 percent of subscribers download close to 80 percent of all data, according to Flanagan. All that makes it clear that the capacity issues plaguing mobile operators around the world will worsen in 2012, Arieso writes in its report. Going forward, the best chance operators have is to bring base stations closer to users by making better use of smaller base stations. “What I predict is that we in the future will see increasingly personalized deployments of networks … where the placement of some base stations are driven by the most extreme users,” said Flanagan.